Recently, I had enough time to experiment with mob programming, a revolutionary technique for developing software. It's like pair programming with 6-7 team members in stead of 2! Seems ridiculous, right? This is how extreme programming (XP) practices seam at first before they spread like wildfire! To get a deeper dive, watch this lecture by Woody Zuill, the father of the idea. Currently, mob programming is spreading so fast in the world, and people are starting to realize so much value out of it. 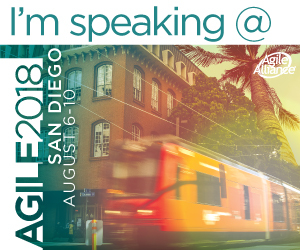 In the Agile Conference 2017 (which I'm on the reviewers list of its program), we have two sessions on mob programming, one talks about this technique used for on-boarding large number of people, and the other talks about it in teaching colledge students. Now, back to the topic. I worked with two teams to whom I introduced and used this technique. One of them in co-located, and the other is distributed. I'll introduce the setup of the onsite experiment, then will list some observations and lessons learned from both teams. Any emerging unplanned task will be put on the backlog. We've started with three tasks on board, and ended up with about 13! Contrary to what I expected, technical leaders and development managers where happier with this technique. They felt more confident and more productive. Plus, they appreciated learning from other team members while mobbing! We used to do the same task so many times. This way, we all do it one time! All-in-all, it was an excellent experience. Right now, I'm engaged with a company doing remote mobbing as a means to train new team members in a faster and more effective way. Guess what? Still the old team members learn from new ones!